I have done a couple of posts and have talked about problems that I have had with my skin before, and I have had a lot of success in keeping my skin clear... But, in the past couple of months I have started breaking out again. I didn't have any really bad breakouts that I had before in the past, but it was bad enough for me to want to do something about it. I feel like this has been my 2nd journey in having clear skin and I am happy to say that because I started using Banish Acne Scars I feel more confident then I ever have with my skin!!! 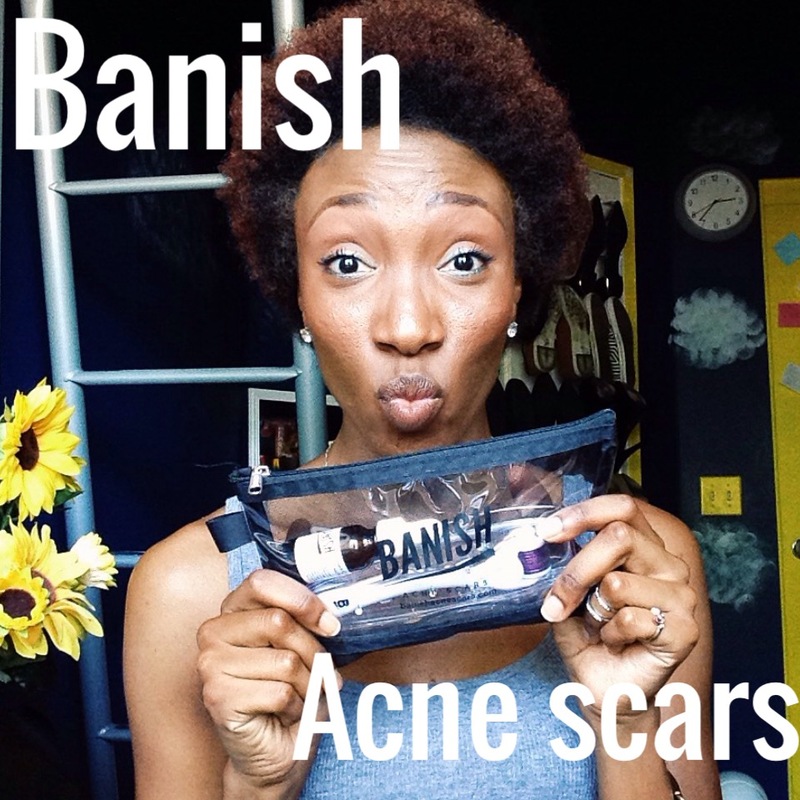 Banish Acne Scars is a skin care system, but it isn't like anything else out there!!! It is natural and doesn't use all kind of harsh chemicals, which is why I looked in to using it. As a lot of people know if you have read any of my other posts about skin I am all about using natural products. I have found that they work the best and it makes my skin feel so much cleaner. But, anyway I bought Banish in May and have continued to use it until now (July), and here are my results!!!! As you can see my break outs weren't that bad, but the best part about Banish, is that it not only helps to heal your Acne... it also helps the Scars to fade away!! It starts to work pretty quickly, and you don't have to use it every day. Here's another photo that shows progress. You can see that my scars are getting lighter!! Are you having issues with scaring and want get rid of what your Acne has left behind, you should try it out!! !